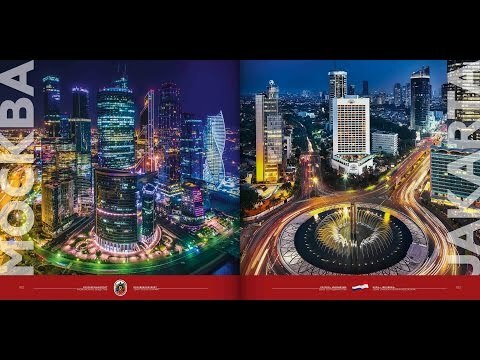 JSC Rosoboronexport (part of the Rostec State Corporation) notes the high level of military-technical cooperation with the Republic of Indonesia. “The year 2018 marks the 60th anniversary of the first deliveries of Soviet military products to Indonesia. New bright pages continue to be added to the history of military and technical cooperation between our countries. Indonesia continues to receive modern Russian aircraft and helicopters, armored vehicles and other systems. For many years, Rosoboronexport has been an exhibitor at INDO DEFENSE, the International Exhibition of Arms and Military Equipment, held in Jakarta. In November this year, the Company will once again organize the joint Russian display here,” said Alexander Mikheev, Director General of Rosoboronexport. Sixty years ago, Indonesian armed forces needed total modernization to protect the country’s territorial integrity and sovereignty. In this regard, negotiations on the supply of Soviet weapons and military equipment began in 1957. The GAZ-69 light off-road vehicle, which won a tender from Western competitors in 1957, was the first in this line. 100 vehicles were delivered for the Indonesian Air Force and another 400 for army units later. These 1950s-era light trucks are still in use by the country's armed forces. In 1958, the parties agreed on the supply of dozens of MiG-15UTI fighter trainer aircraft and MiG-17 fighters, Il-28 bombers and Il-14 transport aircraft to Indonesia. The Indonesian navy was also re-equipped. In particular, two Project 631 submarines and four destroyers were ordered in 1958 and came to Indonesia as early as 1959, where the ships were given Indonesian names Sanjaya, Sultan Iskandar Muda, Sawunggaling and Siliwangi. Russia continued military and technical cooperation with Indonesia. “In general, the total value of military deliveries to Indonesia exceeded $2.5 billion since November 1992. During that period, BTR-80A armored personnel carriers and BMP-3F infantry fighting vehicles, AK-100 series Kalashnikov assault rifles, Su-27SK, Su-27SKM, Su-30MK and Su-30MK2 fighters, Mi-35 and Mi-17 helicopters, as well as other weapons and military equipment have been supplied to Indonesia,” Alexander Mikheev added.